Since Gellerman Orthodontics first launched our Mouthguard program, we have given away hundreds of FREE high quality mouth guards to students and athletes in the greater Huntington area. We invite you and your team members to call our office at 631-427-8444 to schedule a team appointment or individual appointments to come in for your custom-fit mouthguard. 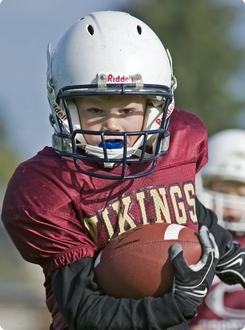 Custom mouthguards have been proven to greatly reduce the occurrence of sports-related head and mouth trauma. Our mouthguards are pressure laminated custom mouth guards that represent leading edge technology in custom protection. Each is produced by pressure-forming multiple layers, shaped separately over a customized mold of the athlete’s teeth. With controlled thickness offering protection in areas where it’s needed most, our mouthguards also offer superb durability with a tight and comfortable fit. Gellerman Orthodontics is pleased to offer this program in the hopes that the children on your team will never lose a tooth or suffer a significant mouth injury because they are wearing a superior quality mouth guard. 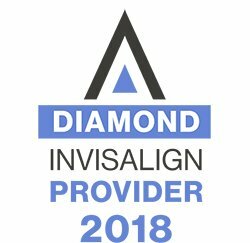 We believe that every child deserves a Spectacular Smile and we are sure that you agree that when it comes to preserving a child’s smile, an ounce of prevention is well worth a pound of cure! If you currently wear braces or an orthodontic appliance, we do have special mouthguards we offer FREE of charge! Custom mouthguards are proven to greatly reduce the occurrence of sports-related head and mouth trauma. Call to schedule your fitting visit! Dr. Inna Gellerman (far right, back row) welcomes a group of kids who play hockey at the Dix Hills Ice Rink, along with Councilman Mark Cuthbertson [center back row] and the Town of Huntington’s Parks Director, Don McKay, who visited Gellerman Orthodontics for free custom-fit mouthguards. The ongoing program offers these mouthguards to protect young athletes from mouth and head injuries that can occur if they are not properly protected. To make arrangements for your team or your young athlete to get a custom-fit mouthguard, just call our office at 631-427- 8444.